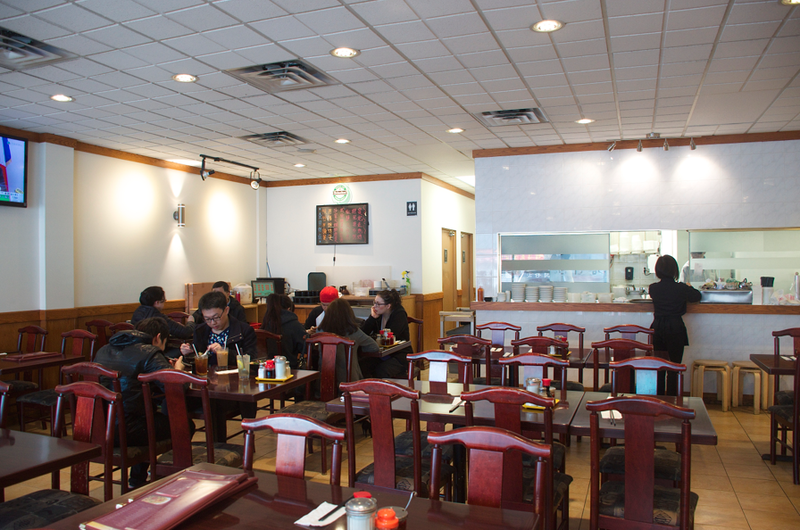 Any Cantonese kid will tell you that going for congee, salty donuts, and lo mien meant that it was Sunday (or saturday) morning and you didn't have to go to school LOL! In my case (sunday) because I had chinese school on saturdays!! I eventually quit in 5th grade...which was a BAD idea... I really regret it now. I wish my parents "forced" me to learn to write chinese, just like how they forced me to play piano lol! This was a pretty large bowl, with generous helpings of liver, fish balls, and a few pieces of fish fillet!! The congee was really flavourful but the consistency was more on the watery side. I would have preferred if it was thicker. 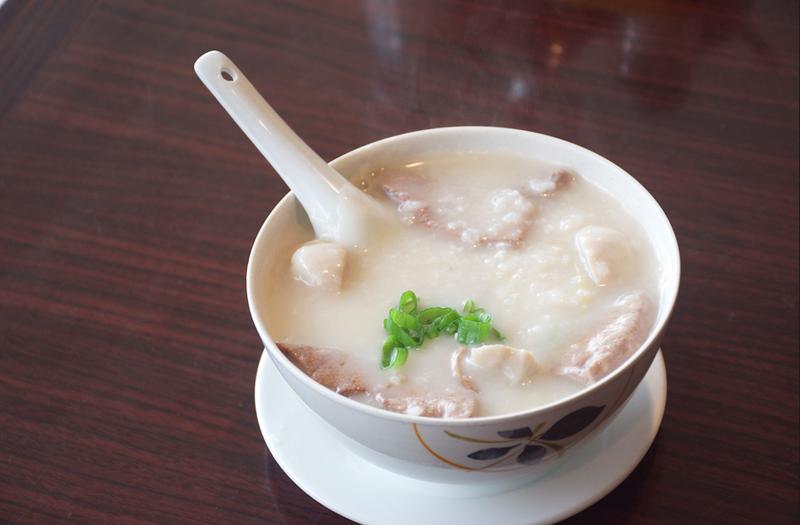 But overall, a pretty decent bowl of congee!! My dad had his usual HK Milk tea, and he didn't have any complaints!! Oddly enough whenever we go to restaurants my dad gets iced milk tea, but when he eats in a food court he always orders it hot LOL. ...but this was a really disappointing version. 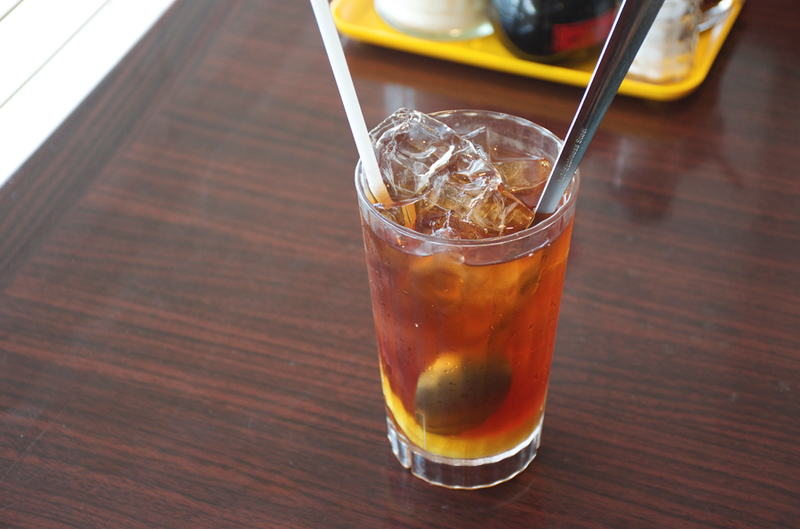 I've had HK iced tea all over Richmond, and this was probably one of the worst. It didn't have that nice bitterness that's akin to a well made HK iced tea. The tea flavour was just too watered and not strong enough. Lo Mein is a must order for me whenever we go for congee hehe. 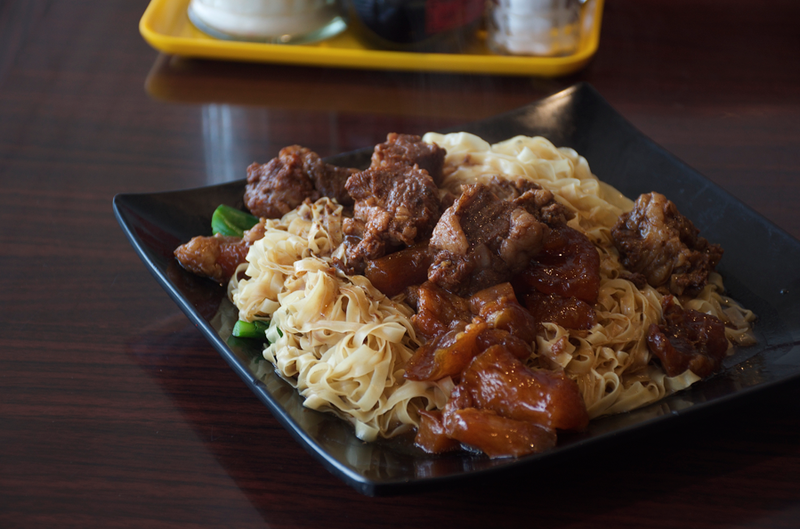 I prefer lo mien over wonton noodle soup, because I like dry noodles better! This was a huge portion...even for me LOL!! The noodles were super solid: al dente, chewy and they didn't stick together!! They were just the right wetness, not too dry or watery! 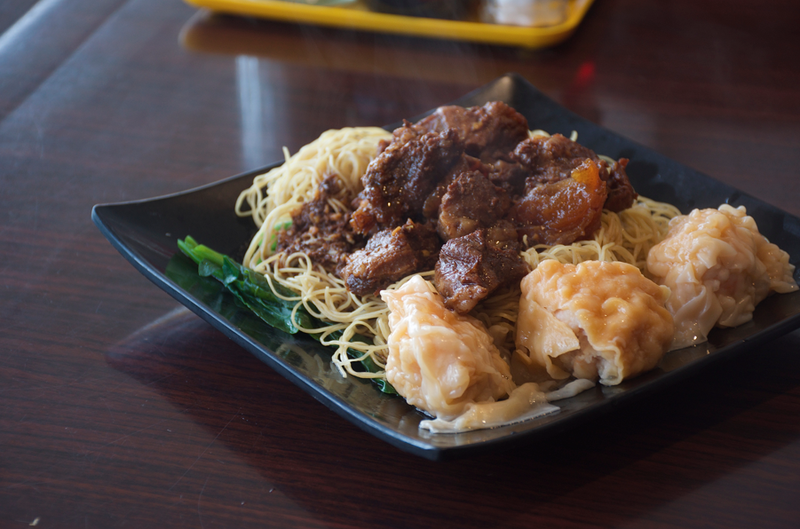 The wontons were medium sized, but the skin was a touch overcooked. The shrimp filling was bouncy and exhibited a natural shrimp-y flavour. They drizzle a bit of sesame oil on top which gives it a bit of added flavour! This also came with a soup on the side, which was actually really tasty! The soup was gingery, herbly, without being too salty! My dad ordered the tendon version with thicker noodles!! 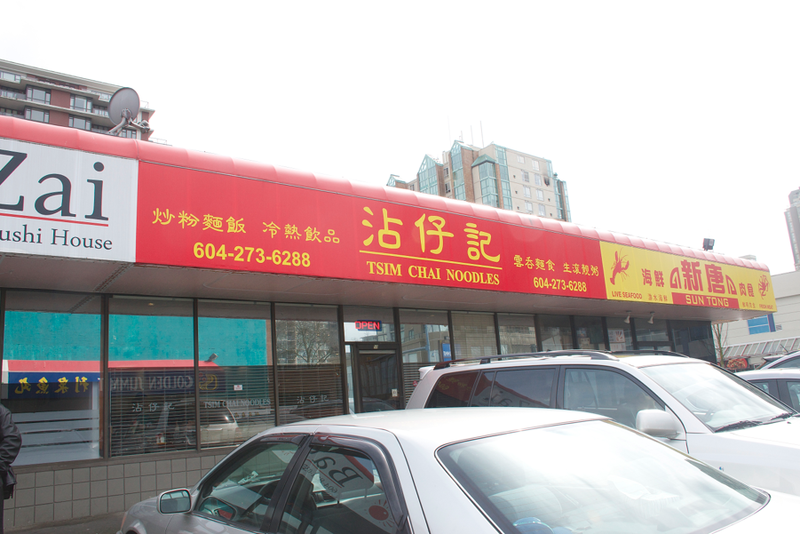 His noodles were a little clumpy, probably due to its thicker texture. The tendons were the stickier kind, and weren't quite melt-in your mouth tender. But the flavours were still decent and my dad said he enjoyed it! You can't have congee without chinese donuts can you? I like dipping them in my congee hehe! 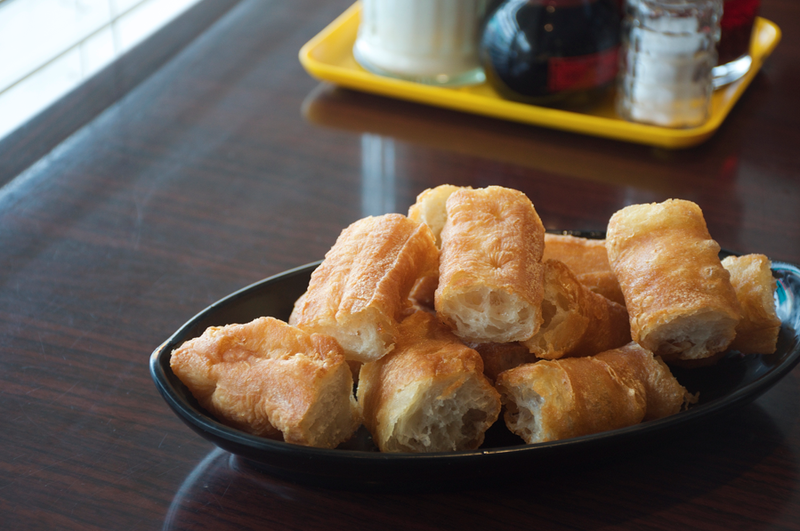 The ones at Tsim Chai are the doughier, softer kind! They're not as crispy on the outside but they still taste pretty awesome: fragrant with a light oil flavour! I'm curious what you thought of the beef brisket pieces, since you didn't talk about them in either dish, and for your own you rated it 2/5. Harvest Community Foods - Hipster Ramen!! Upstairs at Campagnolo - Brunch! Trattoria Italian Kitchen - New!